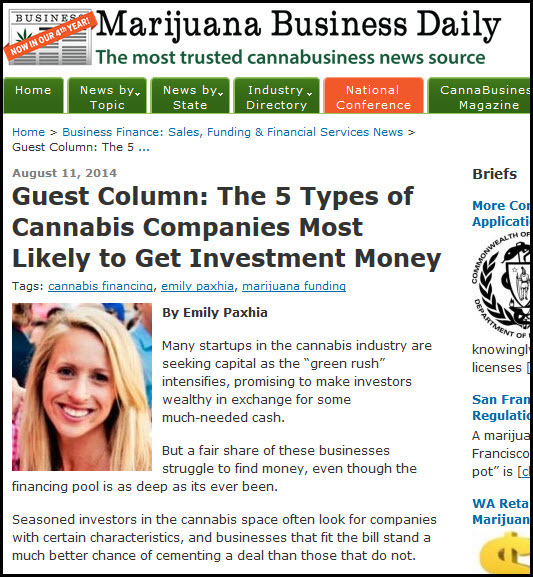 Our Director of Relations and Founding Partner, Emily Paxhia, authored a guest article for Marijuana Business Daily. It was published yesterday. The topic--something she knows plenty about--The 5 Types of Cannabis Companies Most Likely to Get Investment Money.